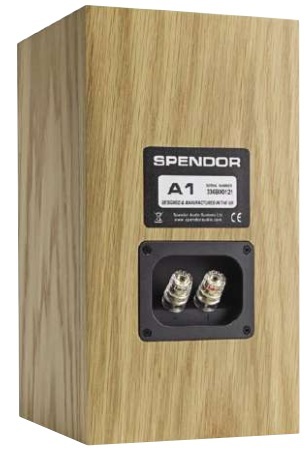 Spendor’s new A1 standmounts are a class apart, says Jon Myles. I’ll admit to the fact that I’ve always been a fan of Spendor loudspeakers. At home I still use a pair of the (now rather old) A5 small standmounts in one of my listening rooms. They are smooth, refined but potent in terms of filling a room. Spendor’s owner and chief designer Phil Swift is a fascinating person to talk to when it comes to the science of loudspeakers. So when he dropped off the new A1 standmounts and ran through the thinking behind them it was more than interesting. Take the new A1s out of their packaging and they don’t look too much – a simple standmount measuring 305mm x 165mm x 178mm (H/W/D) and weighing 5kg. The tweeter is a 22mm unit with a protective mesh grille that looks attractive and protects it from damage. However the main driver is Spendor’s proprietary 150mm mid/ bass unit constructed from its own EP77 polymer material. This gives a classic sound, free from the character of modern metal cones. Allied to this are thin low-mass side panels. Each one is bonded to a visco-elastic damping pad that dissipates acoustic energy, turning it into heat. So while the cabinet is thin, its construction reduces panel vibration to get the best from the drive units. At back are a single pair of ‘speaker terminals. Being a sealed- box arrangement there’s no reflex port to enhance bass (more of which later). So these Spendors are small but boast some unique features – not your usual set of standmounts. Placing the A1s on a sturdy pair of stands and driving them with a McIntosh Mc 152 power amplifier the immediate impression was they sound much larger than they look. They have the ability to fill a room with ease but do it in a sophisticated way. On The Fall’s ‘Live At The Witch Trials’ CD the distinction between the drums, bass and guitar was perfect. The Spendors also replayed Mark E Smith’s guttural vocals with just the right amount of bite. Switching to The Chemical Brothers ‘Block Rockin’ Beats’ the amount of bass these loudspeakers managed to extract belied their size. There is real power on offer so you don’t miss any of the low-end energy. Admittedly, there isn’t the slam of a big floorstander but I never thought there was anything missing in terms of overall bass attack from this track. What also struck me was the sense of refinement on offer. The EP77 mid/bass driver sounds smooth but has excellent detail. On Aaron Copeland’s ‘Fanfare For The Common Man’ by the San Francisco Symphony orchestra (24/96) there was air and atmosphere. The quiet passages worked supremely well with a rich tonality that made for ease of listening. The Spendors were able to open up this recording: I could hear subtle nuances within the music. Yet, when the powerful kettle drums appeared they had immense presence. Being small the Spendors have superb stereo imaging, music extending well away from the sides of the cabinets to produce a broad sound stage. The A1s are a sealed-box design, making placement easy. Their binding posts are of high quality. a large room to find it. As a sealed-box design the A1s are not fussy about placement. I initially tried them well into the room but then moved them back against a rear wall. The latter did bring a little more bass into the equation but it was still taut and controlled – no sense of boominess. They worked best being pointed straight down the room. Toe them in towards the listening seat and there is slightly stronger treble but it comes at the expense of overall cohesiveness. Keep them firing forwards and everything snaps into focus. Listening to Antonio Forcione’s ‘Tears Of Joy’ the sound of his fingers on the fretboard of the guitar was lifelike – more so than other loudspeakers I’ve heard around this price range. Yes, you can spend this sort of money on larger loudspeakers that will give you more immediate impact and greater presence in your listening room. However, over the longer term the A1s will repay with a smoother, more entertaining and subtly detailed sound. 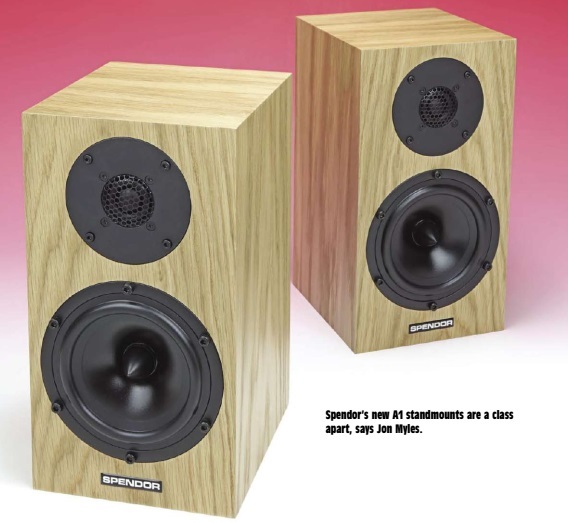 The Spendor A1s are a superb pair of standmount loudspeakers that demand to be auditioned. Room-friendly with bass that is nice and tight, smooth mid-range and extended treble. I enjoyed them immensely. 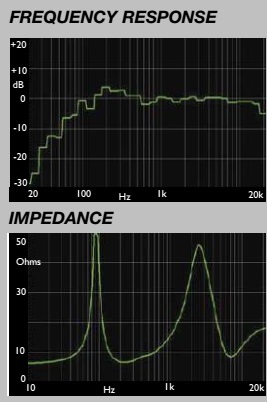 The small A1 had a smooth, flat and accurate frequency response with pink noise our analysis shows, without the raised treble output that is so common in today’s loudspeakers. This will give it an even rendition free from brightness, allowing the basic music balance to come through unaltered. Moving the measuring microphone laterally from on- axis (as shown) to off-axis by up to 20 degrees had little affect upon the result so the cabinet can be pointed straight down a room or toed in without much change in sound balance. The ‘speaker’s phase coherence and consistent radiation pattern ensures both direct and reflected sound from room boundaries – wall, ceiling and floor- are similar, avoiding the change in character that still affects many multi-way loudspeakers. The drive units cross over smoothly, lack of an upper mid-range dip around 3kHz at crossover between the drive units, giving strong delivery of detail. Lower down the frequency range output rises by a small +2dB to strengthen a feeling of weight and fullness to the sound. As always with a small cabinet, bass rolls down below 100Hz and there is no port to provide deep bass support so output at 60Hz is -6dB down. The A1s are designed to be used close to or against a rear wall to help strengthen bass, as deep bass is lacking. Sensitivity was very low at 83dB sound pressure level from one nominal Watt of input so to go reasonably loud a 60 Watt (minimum) amplifier is needed. The little A1s have been designed to sound smooth and full bodied. Expect a svelte sound but not obvious treble. Sophisticated loudspeaker that delivers a smooth, entertaining sound. Big, impressive soundstage too.